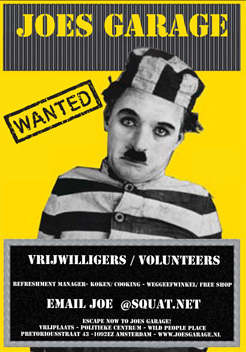 Monday April 15th 2019, door is opening at 7pm with the Volkseten Vegazulu, the weekly people’s kitchen, vegan food on donation, no reservation. Tonight, you’ll be supporting Faso Kele. See event: Steun Faso Kele – ecoboerengemeenschap in Guinée – ! From 8:45 till 10pm, music on the stage with Cinder Well, from Ennis, Ireland, free entrance, donations welcome. 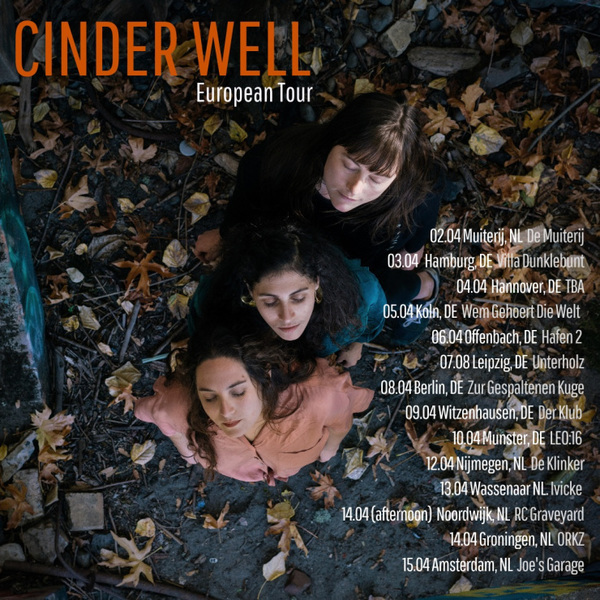 Cinder Well https://cinderwell.bandcamp.com/ is the haunting folk project of Amelia Baker. Her songs are nostalgic and moving, centered around memory, loss, place, and longing. While heavily influenced by traditional American and Irish music and song, Cinder Well is deeply personal and original. Amelia Baker’s mourning vocals are framed with resonator guitar, shruti box, and strings, and her lyrics and cathartic melodies wrap listeners in a surrealist world just adjacent to our own. Squatting being criminalized, rare are the squatted spaces left to hold concerts, benefit events or soup kitchens. 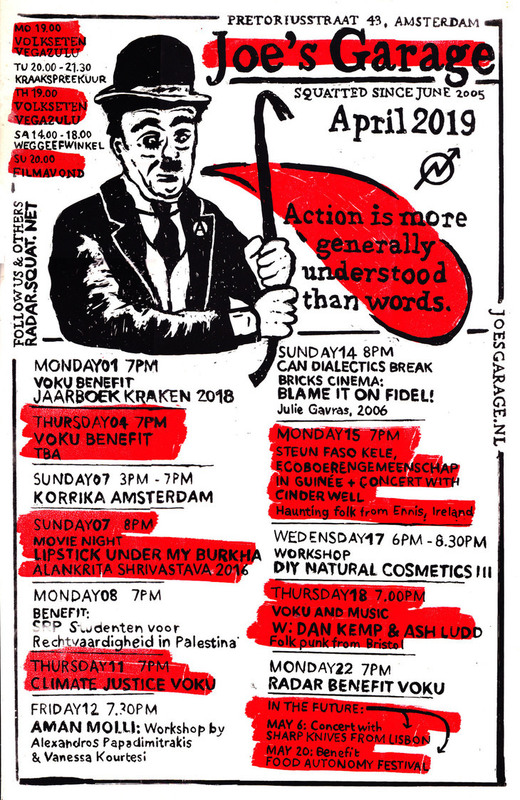 Joe’s Garage as a squatted social center, is supporting bands, performers, activists, fellow squatters who understand the urgency to support each others, to strengthen our networks. In other words, start networking on something else than facebook, instagram, twitter, spotify and youtube. So rare are the bands these days making the effort to have a decent website, to the point we, at Joe’s Garage, are less and less interested to make space for such bands. 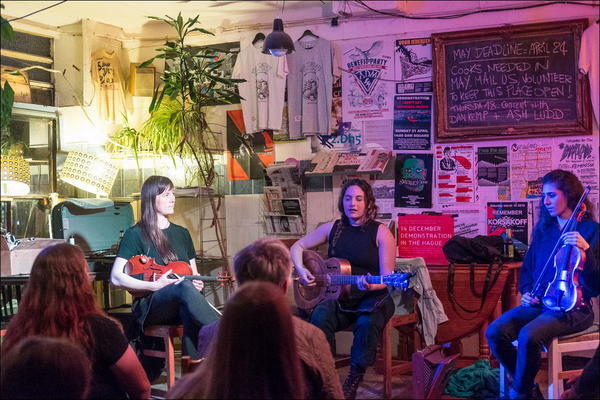 Do you want to perform on the stage, play a concert at Joe’s Garage? Get in touch, we are curious to read on your website, not on corporate facebook, where you’ve been playing in the past, where you’re heading to. << Steun Faso Kele, ecoboerengemeenschap in Guinée!